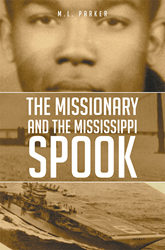 Recent release “The Missionary and the Mississippi Spook” from Page Publishing author M.L. Parker is both intriguing and thrilling; this work keeps the reader guessing through the twists and turns of a horrific murder plot. M.L. Parker, a Veteran, Christian, hard-worker, devoted writer, and author, has completed his new book “The Missionary and the Mississippi Spook”: a gripping and potent journey of secrecy, mystery and manipulation with several unexpected moments until readers arrive at a predetermined destination. Published by New York City-based Page Publishing, M.L. Parker’s perplex work is a page-turner that will keep the reader on the edge of their seat! Readers who wish to experience this chilling work can purchase “The Missionary and the Mississippi Spook” at bookstores everywhere, or online at the Apple iTunes store, Amazon, Google Play or Barnes and Noble.